On 25th April 2016, Mapletree Commercial Trust announces its 4QFY15/16 results. 4QFY15/16 refers to 1st January 2016 to 31st March 2016. Gross revenue increases by 2.8% from S$71 million to S$73 million. Net Property Income (“NPI”) increases by 3.5% from S$53.2 million to S$55 million. Distribution Per Unit (“DPU”) increases 1% from 2 cents to 2.02 cents. Overall occupancy increase from 95.7% to 96.6%. VivoCity is the only retail mall in Mapletree Commercial Trust portfolio. Shopper traffic grew about 7% and tenant sales grew about 6% in 4Q FY15/16 on a year on-year basis. 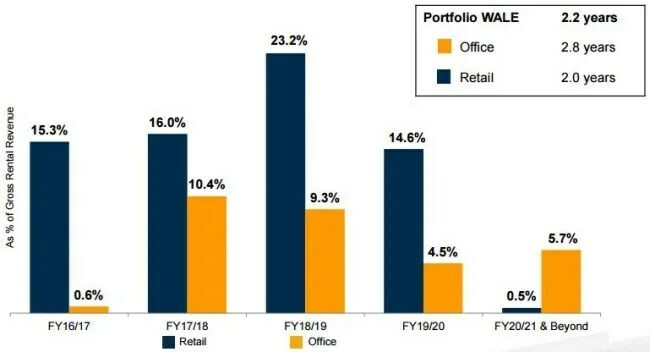 Weight Average Lease Expiry (“WALE”) for its office assets is 2.8 years while retail is 2.0 years. 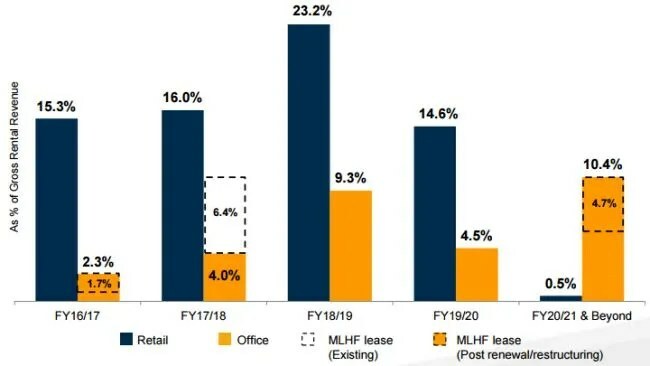 With the positive renewal/restructuring of Bank of America Merrill Lynch’s lease at Merrill Lynch Harbourfront (“MLHF”) in Apr 2016, the office WALE is extended from 2.8 years to 3.5 years. Gearing ratio is 35.1%. Weighted average debt expiry is 3.4 years. Investors need to take note of 29% debt due in FY19/20.